Health consumer, meet your first best friend, Johannes Gutenberg. Of all the instruments and processes medical researchers have invented, none has been more important to the advancement of medicine than the printing press, which Gutenberg developed in the mid-15th century, publishing 180 copies of his celebrated Bible around 1455. 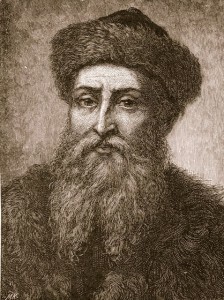 A former goldsmith, Gutenberg developed moveable type that could be made of wood or metal, and adapted a wine press to imprint the image on the paper. Soon, scholars and scientists all over Europe were exchanging ideas. Relatively few people could read at the time, and books were expensive, but that ability to convey information to more than a small group at a time resulted in an explosion of understanding of how the world works. For the record, the Chinese invented moveable type hundreds of years before Gutenberg did.